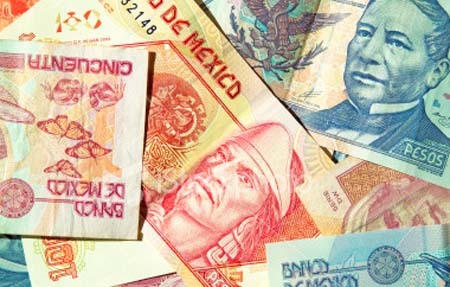 Contrary to most of the mainstream press, the Mexican peso has, and is, growing stronger. Indicating that indeed a strengthening economy is at hand despite what the press would have one think. Foreign owners are jumping on board to own more bonds in Mexico. And this also means a good outlook for real estate value increases too. Mexican President Felipe Calderon said in an interview on May 10 that he's "very comfortable" with the strength in the peso, which remains 4.5 percent cheaper than its average over the past decade. The peso has gained 12.6 percent in the past two years, the biggest since 1993. Mexico has a very transparent monetary policy, and they have been very clear and open that they don't plan to place restrictions on the currency," said Sergio Mendez, who helps manage about 80.5 billion pesos in assets as chief investment officer at pension fund Afore XXI. "Mexico has become very attractive for foreign investors."